Entry by DragonCactus on Fri Aug 9 14:03:36 2013. That is me who coming! Eren: EVERYONE START FREAKING OUT RIVAILLE HERE!!! @dattebayo256: Yes it was! LOLZ!!! 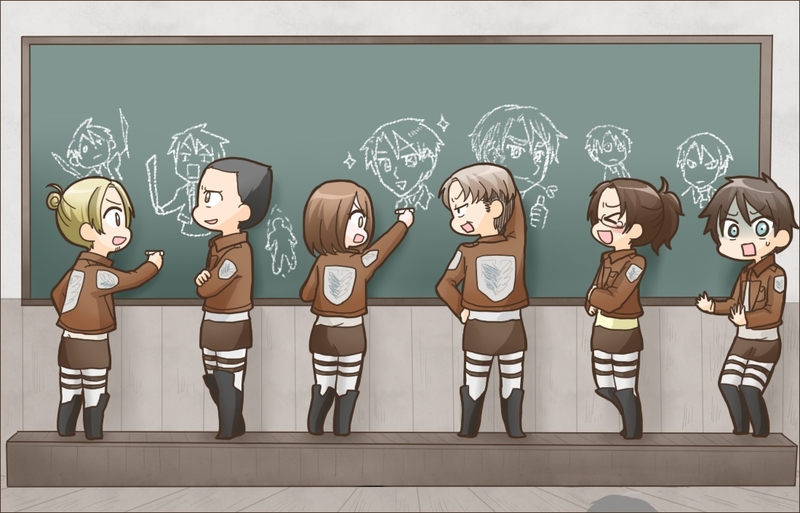 eren was making fanart, everyone else is making fun of levi! I love Levi's titan drawing!